I forgot that I had been asked to post photos of all my fabric together. Well, I was willing but logistically it proved a little tricky - there was nowhere big enough to give you a really good idea. This is my best shot.That is my 24 inch ruler next to the pile. While I am at it these are my two bulging travel journals, full of ideas for this fabric. Sigh. You are all just not getting this. I am in intensive care here with this head cold (well they call it that but I am sure it is a derivative of ebola fever) and all I get is 'your links don't work'. Well, no they don't and I am sorry for my inefficiency with the cut and paste tool, but how hard it is to google images search pink foam shrimps? Kop-kops are not licorice flavoured. Licorice is disgusting. They are aniseed. Whcih is odd because I didn't know that until I googled 'kopkops flavour' for your edicfication, and I would have said that aniseed was disgusting too. But they are coated in sugar and I only eat them when my taste buds are Black Death-impaired so maybe that explains it. The same method of intensive research tells me that winter candy is also aniseed. How odd. The shrimps are, disconcertingly for fish lovers, raspberry flavoured. Or more accurately, chemical-replicating-raspberry-flavour flavoured. And, while we are having this trans-altantic conversation, could I just say: tootsie rolls. Iconic US product, referred to in mountains of literature. First experienced by this Brit last November. Huge disappointment. What's that all about? Small bits of chewy gloop. You have no standing to criticise kop-kops. Oh wait, the US is the home of Hershey Cookies and Cream chocolate is isn't it? I bow at your feet. Love that stuff. Can't get it here. Or Top Deck. Now this really is a mystery. Top Deck is Cadbury's chocolate which, until they sold out this month to Kraft was a quintessential British Quaker company. They produce Dairy Milk chocolate and Dream white chocolate.. In South Africa you can get Top Dec, which is Dairy Milk with a layer of white chocolate ontop. No where else have I found this delicacy. Except inexplicably, in a supermarket in the tourist area of Paphos in Cyprus who import it. How come we don't get it here? It seems that there are Americans willing to take the risk of questioning an ailing whining spoiled Brit. What on earth, they ask, are the kopkops and winter candy of your last post? Well it turns out you can get them online. Kopkops here, winter/cough candy here ( unwrapped!). Note that the latter is not to be confused with these which are nasty. And look - they even have pink foam shrimps! Surely you must get those in the States you being a nuk-le-ar power and all? They ship to the States so you can be better prepared for the plague than I was. If you should place an order you also need to add Uncle Joes Mint balls, a delicacy made down the road in Wigan (arch rival of my home town St. Helens.) The factory is right next to the old court building and until the courts shifted across town, my arrival at work was often scented by this very distinctive smell of Uncle Joe Mint Balls. I do believe there is an entire retail shop dedicated to the product. Now, all members of my family who read my blog just ran for cover. Because, unlike you remaining people who only know the nice bits of me I show online, my family know that the statement 'I am not well' emanating from my lips is inevitably going to be followed by a long, high pitched moan-come-wail-come-attention-seeking-whinge... Eeeurrrrrghhhhhhh. I'm no-ooot we-eeeellll. Only today it is a plain 'I am not well' without the siren sound because I can't fit it in between the chain sneezing. Chain sneezing is a new one on me. It is standing joke in our house that I sneeze in threes. Every time. I am sneezing in, well, there's no start and end to count from really, Just little pauses long enough to blow my nose or to threaten a whinge but no more. One sneeze starts at the back of the throat, right where it joins the top of the mouth, even before the other one has fully exploded from the nose. It is like line dancing championships for the infected. All of which I am being forced to do to the sound track of Yo Yo Ma (who in China is actually called Ma Yo Yo which sounds like the Dame in Aladdin) and the Silk Route Orchestra playing the star spangled banner because Dennis thinks that this U-Tube clip of Mongolian and Turkmenistan artists playing their traditional instruments is fascinating. It sounds like the seven dwarfs are playing the high strings of a baby grand piano by hitting them with pickaxes. I may be mixing my pantomime metaphors here but you get the idea. All of which brings me to Kop-Kops. Well, I know it does not get me there directly but the indirect but connected route takes some time and I can't fit it in between sneezes. 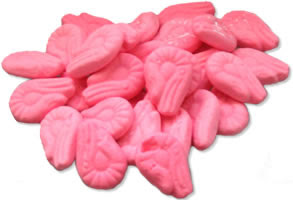 Kop-kops are medicinal sweets known to cure all ill feeling no mater what it emanates from. (Save, that is diseases that have a diagnosable name other than 'virus' 'general infection' 'a bit of a bug' and 'something going around'.) I suspect I should not publicly announce that they are medicinal or the wonks in the Policy Directorate for Stupid Labelling Regulations at the EU will force a name change in the same way that Cough Candy is now sold as winter candy on the spurious grounds that it neither cures nor causes a cough. PS. Do I sound mad today? I may have been up since the early hours overdosing on decongestant a little bit but I am not mad. Oh and that winter candy stuff. The EU decrees that has to be sold wrapped now not in loose pieces shaken with a pleasingkly clunky sound from a big jar kept high up on a top shelf far, far away from the jelly babies. In case we catch germs. Do they really think that anyone eating a concoction called cough candy does not already have germs? I made this little quilt which contains a sample for my City and Guilds. I chose the colours because I wanted to use the paua shells. But all the time I was making it I was thinking, These are Deborah's colours not mine! This close up gives a better idea of the colours. Further to my last post on Google Alerts. Not only has Richard Gere not commented on my post, today I got alterted to my own obituary. If you are ever in Shanghai I strongly recommend the Renaissance Yuyuan gardens - it has a great spa (one treatment every day for the last three days of my trip - bliss!) good food, lovely modern bright rooms and is walking distance from the main modern streets of The Bund and Nanjing Road and also overlooks what we found to be the best but of Shanghai - the old town. This night photo was taken from the window of the lounge on the club room floor level. There is a similar view from the spa. The old town is actually an area of back alleys that are well worth exploring ( more photos next post) but the centre of it has a garden with beautiful pagodas, rockeries and ponds - the Yuyuan gardens. The shopping area (think silk scarves, pashmina, teapots, calligraphy pens and the like) is housed in the area with curly roofs and is - to our surprise - not full of western tourists but almost exclusively Chinese. In fact we saw very few westerners at all in Shanghai even in the hotel. As you can see though - there are distinct signs of western influence along side the celebrations of year of the tiger. In this area any westerner is going to be hassled to buy fakes. But I was highly amused that each time we went from the hotel it was,"watches, handbags, looeevooton,". When we were going back to the hotel loaded with bags of cheap pashmina, the same touts would run up, "You need suitcase?' Just walk on and they go away. Or we tried speaking French as they walked past. That confused some! There is also another ploy which is to get you into a 'traditional tea ceremony'. Around Nanjing Road we encountered an amazing number of charming students who all wanted to practice their excellent English, all of whom were transfixed by Dennis' eyebrows and lo and behold all of them were going to a traditional tea ceremony and would be like to go? Well, no, because actually we already did that. This is Mr Ma. Who employed a similar technique of stopping us in the old town to practice his English. we knew full well what was going on as soon as he said we could take photos from his roof top tea garden. "Free. No charge to look." But you know what, we like, tea, it was freezing cold. he was actually a very interesting conversationalist and we wanted to buy some stuff anyway. So we went with him and found a wonderful tea shop with beautiful wood carved walls which we would never have seen anyway. We paid for him to have tea with us - total cost for us all to have five different teas with explanations of how to make them all and their medicinal properties: £3! I confess to watching him drink each before I did to make sure it was tea and not rohypnol though! And so it was with Google Alerts. It turns out there is this neat little thingymajig that lets you see if other people are writing about you on the Internet. I should have known about this in the past because I commented on a post on Erica Spinks' blog about Mark Lipinski's magazine and he found it pretty quickly. But it was not until Ricky Tims left a comment on Brenda's blog that she mentioned that he probably used it too. So I have been trying it out. So far I have been alterted to my own blog posts and the fact that a copy of one of my law books is on sale on ebay and that someone who is not me but has the same name was reluctant to be drawn into a planning permission debate. Yawn. Although I do think my namesake is sensible. But I assume that the Mandarin Oriental also use it as they left a comment on my last post alerting me ( ha) to the fact that the development in Hong Kong that I thought would threaten their harbour views was going to be low rise. So I stand corrected. Although it remains the fact the harbour is much further from the Mandarin than from the Harbor Plaza where we stayed and is on a much busier road. So anyway, I am having fun now wondering how many people I can drag here via Google Alerts? Shanghai in the next post I promise. Soon, there will be much more architecture in Hong Kong. This is the land reclamation going on on Hong Kong island. We noted that this is right in front of the reknown Mandarin Oriental which is still selling harbour views. Hmm. Maybe not for much longer. And I am betting they don't mention the current foreground of those views. Eventually there will be more shiny sky scrapers like these. Some buildings - like the new convention centre are relatively low rise. And there are still some tiny street stalls nestled amongst the sky scrapers. But in general terms. Hong Kong goes up. And up. Even these residential buildings. And so the airconditioners go on the outside. Which may not look pretty but - is it just me- or is there a quilt/ embroidery pattern here?! I am not that good at languages but I did manage to pcik up some Cantonese while in Hong Kong. The words for. "Hello. Welcome to my country." appear to be "Ay lo. Watch. Gu chi. Lu ee vu ton." And many many people want to say hello when you walk down Nathan Road in Kowloon. Many. So if you fancy a little escape I recommend Po Lin Monastery. A twenty minute or son train journey from kowloon central brings you to Launta Island and the terminal for a three mile cable car journey over the empty mountains of the national park. At the top is a 'Village'. but don't be fooled into thinking it is a real village. It is a collection of shops lining the road to the monatary but it is relatively tastfully done and you can get some really good chinese food for lunch. So good I abandoned the camera once it arrived. Once at the monastery there is lots of visual stimulus. Colour. People. Little nooks and crannies. Then there is the giant buddah, visible from miles away on the cable car and close up, well, its very giant indeed. Well, we have been home for a new days now. Its a bit strange - I went to the hairdressers I think the travel blog actually stopped in Hong Kong so I am going to have to go backwards for you - but I will miss out the day when I got food poisoning. Lets just tell you the funny bit. I was on the way to collect my hand engraved chinese chop ( traditional seal) with my name in chinese (I thought it would be a useful tool for fabric embellishment) when suddenly as we got to Chop Alley uh,oh.....I threw my bag and camera case at Dennis, told him to get my seal and ran for the drainage grate. ( Note the order of priority). A couple of minutes later Dennis arrived, shop in hand to watch what was not a pretty sight. A nice chinese lady gave me water to clean myself up with and as I am standing there gasping and moaning and shaking and feeling sorry for myself, Dennis says, "I didn't get a photo of the for the blog, is that OK?" Well , lets check - are you feeling deprived for lack of illustration? No. Thought not. Sufffice it to say I did not make it to Happy Valley races that night. It was a bad twelve hours but I was sustained by the memory of my visit to Angus International. I was put on to this place by blog reader Di Thompson but for some reason even when she told me to go to the 18th floor of a block of flats at 8 Soares Avenue in Kowloon, I was still expecting a shop or some kind or at least business premises. Nope. I ended up in the flat of a very pleasant man, Angus Hardern, who keeps bolts of silk in his spare room and baskets of remnants under his dining room table. And sells them for give away prices. He also does very good mail order prices.